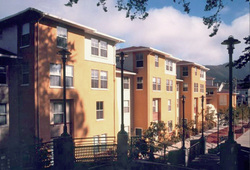 Low income apartments adjacent to the new BART station for the Mid-Peninsula Housing Coalition. 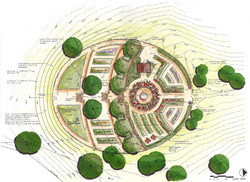 Includes on-structure paving, drainage, irrigation and planting design. New housing and retail development in San Francisco’s vibrant Richmond district is inspired by the historic Alexandria Theater. Located in the Sonoma foothills on an existing estate, the new improvements included a guest cottage, tennis court, barn and one-acre sized vegetable garden. Low income apartments in an intensely urban environment, with an adjoining semi-public mini park. Located in the western foothills of Napa Valley, the 45-acre site has been transformed into a vineyard and residential estate. 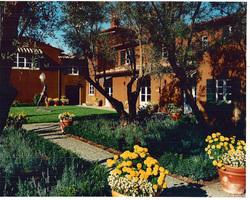 Site improvements responded to the hillside conditions, with terraced patios, fountains, swimming pool and gardens. 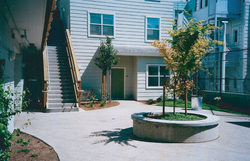 A non-profit assisted and independent living community located in the heart of San Francisco's historic Japantown, the Kokoro rooftop garden will provided much-needed open space for the elderly residents.